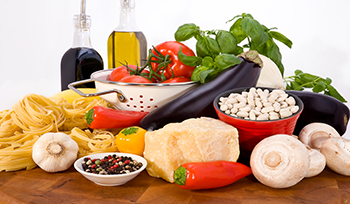 The TRUE Authentic Tastes of Italy are difficult to find outside of Italy but now it is no longer necessary to go 8000 miles to get real Italian cuisine. 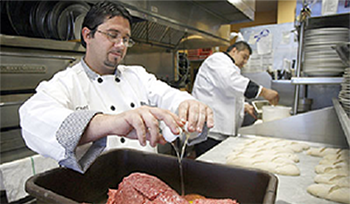 Italian immigrants and esteemed chefs Antonio Cacace and Luigi Barile have been around great Italian cooks all their lives. Now they are proud to share their love for cooking with the lucky people of Florida and eventually the entire U.S.
One of Florida’s best kept secrets can now be enjoyed in a forth location. The outstanding success of their first three Florida locations in Wildwood, Spring Hill and Inverness has afforded the opportunity to open a new location at 5400 SW College Rd, Ocala, FL 34474 in the Publix Shopping Center. The wait is over and the reviews are outstanding and we look forward to seeing you there soon. We regretfully report that the Inverness location is temporarily closed until further notice while we search for a new location. at your Villages location. The food was delicious and the service was wonderful. The sisters who waited on our group were attentive and made the experience so much fun. Thank you! 5 Stars Excellent"
Margo L. and the Rio-One ladies. veal was excellent and the wife had Eggplant Parmesan and it was excellent too. Buona Fortuna!" "Wow...I'm from New York and I felt like I was back there. Really good food and great ambiance, will be back soon."